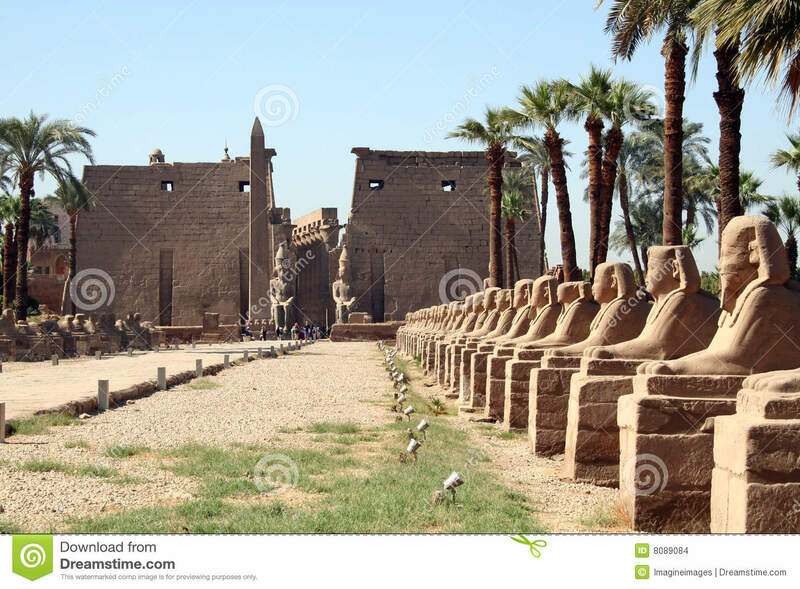 Luxor Temple is a large Ancient Egyptian temple complex located on the east bank of the River Nile in the city today known as Luxor (ancient Thebes) and was founded in 1400 BC. 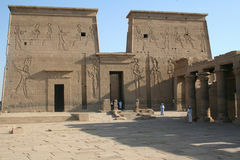 Known in the Egyptian language as ipet resyt, or the southern harem, the temple was dedicated to the Theban Triad of Amun, Mut, and Chons and was built during the New Kingdom, the focus of the annual Opet Festival, in which a cult statue of Amun was paraded down the Nile from nearby Karnak Temple (ipet-isut) to stay there for a while, with his consort Mut, in a celebration of fertility – hence its name. 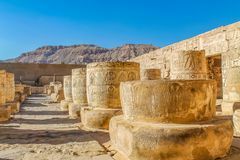 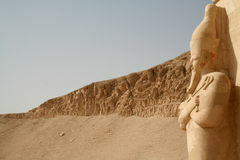 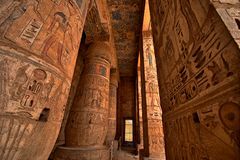 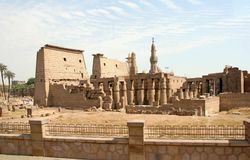 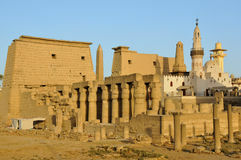 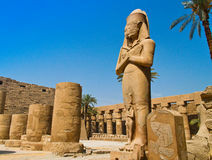 Access to the temple was – and still is, for the thousands of tourists who flock there every day – from the north, where a causeway lined by sphinxes once led all the way to Ipet Sut in modern Al-Karnak. 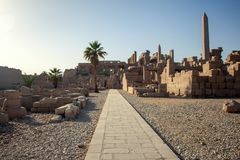 This road was a later addition, dating from the time of Nectanebo I in the 30th Dynasty. 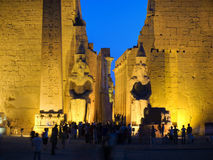 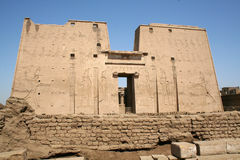 The temple properly begins with the 24 metre (79 ft) high First Pylon, built by Ramesses II. 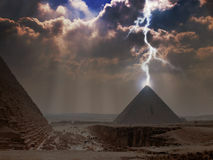 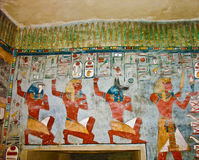 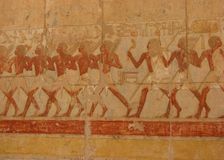 The pylon was decorated with scenes of Ramesses's military triumphs (particularly the Battle of Kadesh); later pharaohs, particularly those of the Nubian 25th dynasty, also recorded their victories there. 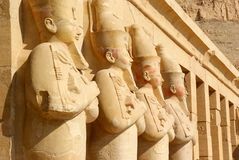 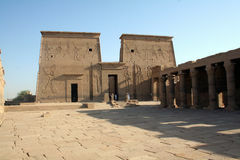 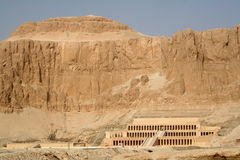 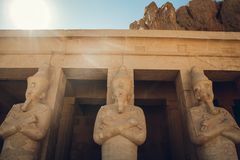 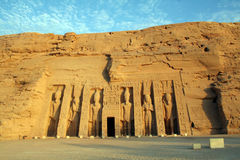 This main entrance to the temple complex was originally flanked by six colossal statues of Ramesses – four seated, and two standing – but only two (both seated) have survived. 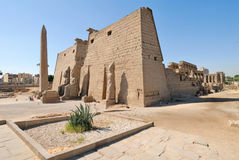 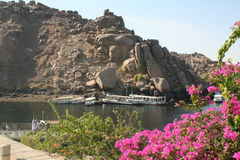 Modern visitors can also see a 25 metre (82 ft) tall pink granite obelisk.